For a person charged with a crime, one of the first questions that comes to mind is “do I really need an attorney.” The answer is almost always yes. Even more so, you need an Oklahoma criminal defense attorney who is prepared to stand up for you. Here’s why. Confined to a detention cell between oddly timed episodes of interrogation, a person can easily be persuaded by detectives’ promise to help – if only the weary detainee will cooperate. In their terms, cooperate usually means confess. A marginally courteous police officer might suggest a confession is the best way to avoid spending the next several decades in prison. The choice is what scholars call a false dilemma. It presumes only two options are available, and minimizes other choices. A third choice investigators might not mention is to invest in an Oklahoma criminal defense lawyer who is prepared to stand up for your rights. 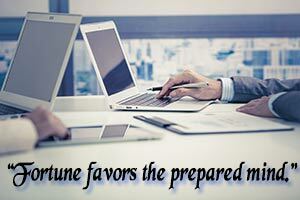 How much difference can a well prepared attorney make? It can sometimes be a matter of life or death. Take a look at Virginia. Since executions resumed in 1977 after capital punishment was stopped nationwide for four years, only Oklahoma and Texas have executed more people than Virginia. Oklahoma and several other states imposed the death penalty much more often, but Virginia for many years carried out many more death sentences. In Oklahoma, about one of every three people sentenced to death since 1977 has been executed. In Virginia, three out of four death row inmates were executed. Lately, though, things have changed in Virginia. As measured by the number of death row executions. Oklahoma’s infamy as a death penalty state only inched past Virginia’s grim tally earlier this year. Virginia’s state-run execution mill has in recent years slowed to a crawl. While Oklahoma executioners have marched on despite constitutional showdowns, botched executions and mistaken death drugs, Virginia’s executioners have all but retired. Since 2010, Virginia has executed only three inmates. Oklahoma has executed six times as many. What caused the difference? Lawyers. In the heyday of Virginia’s execution spree, that state afforded scant resources for legal representation of death penalty defendants. In 1984, Virginia courts set compensation for court appointed capital defenders at a paltry $650 per death penalty case. During the 20 years that followed, the state executed 92 men. By 2000, average total compensation for court appointed defense counsel in Virginia capital cases was estimated to be $29,800. Court appointed capital punishment defense teams averaged 249 attorney hours per case. That means something like two attorneys spending a week to prepare for a two week trial, including the life-or-death sentencing phase. In 2004, Virginia lawmakers decided the right to an attorney at a life-or-death trial included a right to attorneys with enough time to do the job right. The legislature created capital defense resource centers. They staffed the centers with attorneys and investigators knowledgeable in death penalty law. Capital defense attorneys at the new defense centers focused not only on winning trials, but on preparing for a sentencing phase should a jury not be persuaded to acquit. The strategy changed the way Virginia juries mete out the most severe penalties. The capital defense teams’ preparation for sentencing trials highlights a common misunderstanding about criminal defense. A person facing felony charges often approaches a trial in simplistic terms – can my defense lawyer beat the charges or not. Such a binary strategy fails to prepare for contingencies – such as how to mitigate punishment and how to derail the most serious charges. Garrett observed that sentencing phases of Virginia capital trials have lasted twice as long since the state began providing defendants effective attorneys. Jurors are now more carefully selected. Defense attorneys call more defense witnesses at sentencing hearings, and rely heavily on expert witnesses to establish mental health evidence. Southern Center for Human Rights Senior Counsel Stephen Bright once said that capital punishment falls “not upon those who commit the worst crimes, but upon those who have the misfortune to be assigned the worst lawyers.” That might not be entirely true. To be fair, some defense attorneys have worked passionately for comparatively little reward to defend people on trial for their life. Maybe the most severe punishment is meted out to those whose defense attorneys do not have the resources required to put on an effective defense. It is not always a measure of the attorney’s skill that determines if a defendant lives or dies. A defense team well prepared for trial, supported by investigators and experts, can put on a much stronger case than a dedicated individual who hopes sleepless nights and impassioned arguments will be enough to persuade a jury. The lessons we learn for Virginia’s investment in capital defense teams apply as well to individuals facing more run-of-the-mill felony charges. A well prepared defense team can make a difference between acquittal or decades in prison. When exoneration is out of reach, a well prepared defense attorney can often negotiate reduced charges that carry significantly lower penalties. With the right preparation, an Oklahoma defense attorney might convince a court that a defendant, once convicted, will make the best of an opportunity to again be a productive member of society. Felonies in Oklahoma carry some of the most severe penalties in the nation for such offenses. Third convictions for otherwise minor crimes can result in lengthy incarceration. Overreaching prosecutors often file the most serious charge imaginable in hopes of pressuring a defendant to plead to a lesser charge. Defendants who care for their freedom cannot afford to let prosecutors steamroll over their rights. When facing criminal charges in Oklahoma it is urgent that a defendant muster an effective defense at each stage of the proceeding. A conviction for even a shoplifting charge can be a stepping stone toward a lengthy prison sentence in future convictions. Drugs or a firearm left in a vehicle by friends or a family member can cost an unwitting defendant years or decades in prison – especially after a prior conviction. I will be honest with you. When you are facing serious criminal charges, serious defense is not cheap. Financing an effective defense might require selling vehicles, liquidating investments or borrowing against home equity. You do not need to pay for a top dollar dream team, but you do need a team with enough time to investigate evidence against you, research the law and prepare for trial. When you are faced with questions about the cost of criminal defense in Oklahoma, there is another important question you need to consider. What is the cost of not defending yourself against criminal charges? If you have been charged with a crime in Oklahoma, I urge you to contact my office to learn how to defend yourself. I routinely offer free consultations so people can decide if the criminal defense resources my office provides are the best choice in their situation. For a free consultation with a Tulsa criminal defense attorney, call Wirth Law Office today at (918) 879-1681. You can also email your question via the form this page and I will contact you as soon as possible.